Greg was our guardian angel that day, and I remember being simply overwhelmed (and a little perplexed) at his level of kindness towards us. Now I get it. I would do all of those same things for someone in our situation. I, too, would meet a newbie at the airport and help them travel by train or navigate a cab (since I don’t have a car) to wherever they were going. I, too, would dismiss any concerns about being left on the street with a family due to being new and not being able to pay right away (it’s just wouldn’t happen). I, too, would go to the market and acquire staples to help them in their first few days here. I would, because I get how overwhelming and distressing those things can be in the beginning. And now, with a year of experience here (Greg had eight) those things are relatively simple, in comparison to how challenging they are to a person on their first day. That’s not to minimize Greg’s kindness and selflessness (he gave us his whole morning, and had to take time off of work to do it). It’s just that I completely understand it now. That first day, too, I was uncomfortable in accepting help. I didn’t feel good about the fact that Greg worked so hard to help us, or that the rental agent carried our suitcases up the stairs. I was mortified that we didn’t have the cash on hand to pay for our room for the week. I was embarrassed that I wasn’t more on top of things — that I spoke no German, that I didn’t know where I was going or how to do ANYTHING. Wow, how things have changed. In that way, I’m really a different person now. I look back on it, and I laugh at myself (nicely). OF COURSE we needed help. OF COURSE we weren’t on top of things. We had just packed up our whole lives and moved to a whole different COUNTRY on a whole different CONTINENT. Why would I have expected anything different from myself? But I did. Asking for, and accepting help have become a normal, routine, natural part of life here. We’re not on top of anything. We need help all the time. And it’s ok. Not just ok — it’s exactly right for it to be that way. We can’t do it all ourselves, we can’t know everything. I know that now, and it doesn’t bother me anymore. Even if I didn’t get another thing out of living here, it would be worth being here to just have learned that lesson. Thank you, Greg, for your help. And I can’t wait for my chance to do the same for someone new. 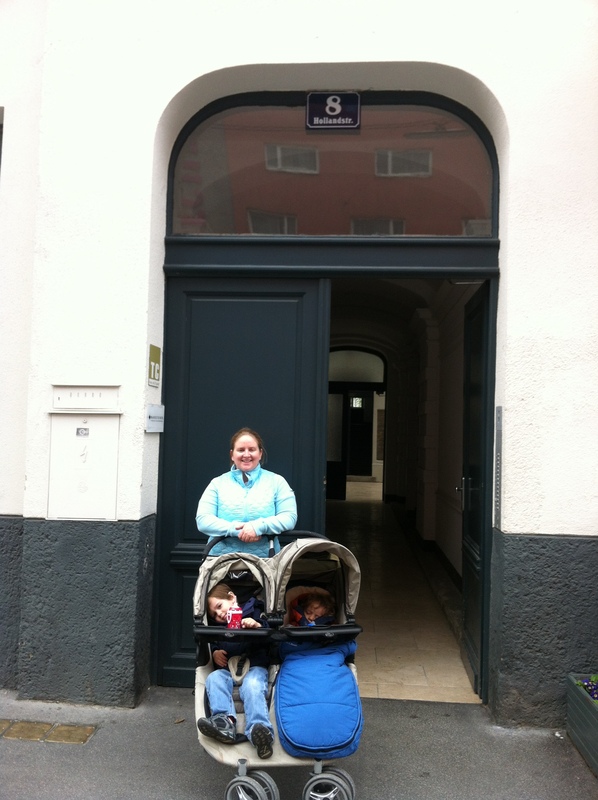 This entry was posted on Friday, April 6th, 2012 at 5:42 pm	and is filed under Adventure in Vienna, Em's blog. You can follow any responses to this entry through the RSS 2.0 feed. Responses are currently closed, but you can trackback from your own site.